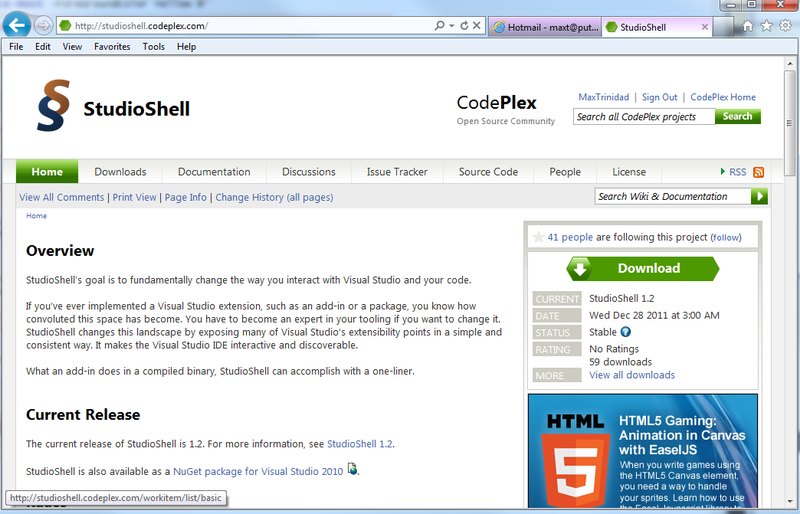 Codeplex StudioShell in SSMS 2012 – Try it!! If you haven’t yet try it, go ahead download and install this Visual Studio Extension to your SQL Server Management Studio 2012. 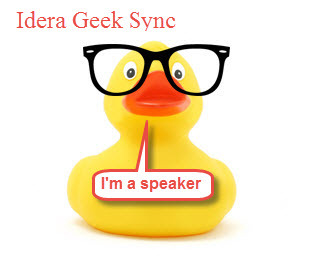 This tool will integrate a PowerShell host into your SSMS which you will love for presentations and quick scripts developement from one envirment. But Yes! 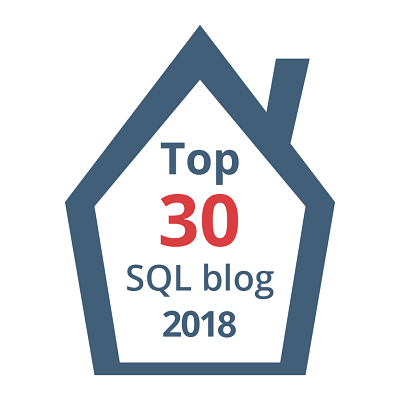 this a just a simple host and you’ll find it useful for learning SQL PowerShell. 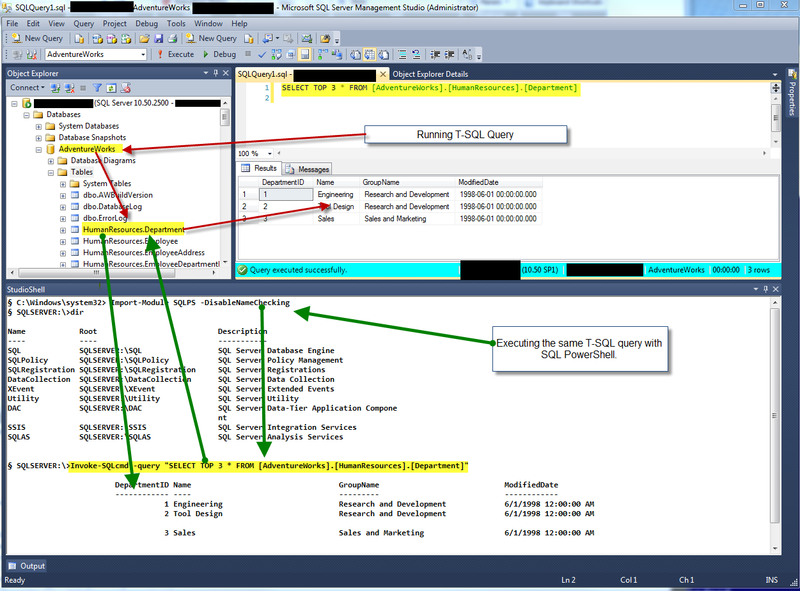 I will be presenting with this tool in my upcoming webinar with Patrick DeBlanc SQLLunch next week on February 15th “PowerShell Query for the T-SQL Developer” at 11:30am CST / 12:30pm EST. After you install this application, open SSMS, from the top menu click on “View“, and select “StudioShell“. 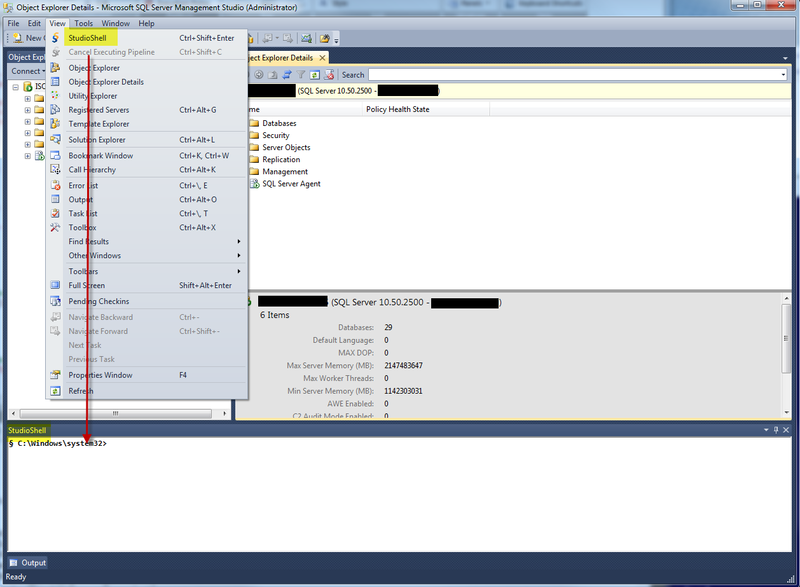 Then, you can place this pane anywhere inside your SSMS application. You can copy/paste t-sql code put remember to import the SQLPS module to have access to your SQL PowerShell commands. A word of advice! 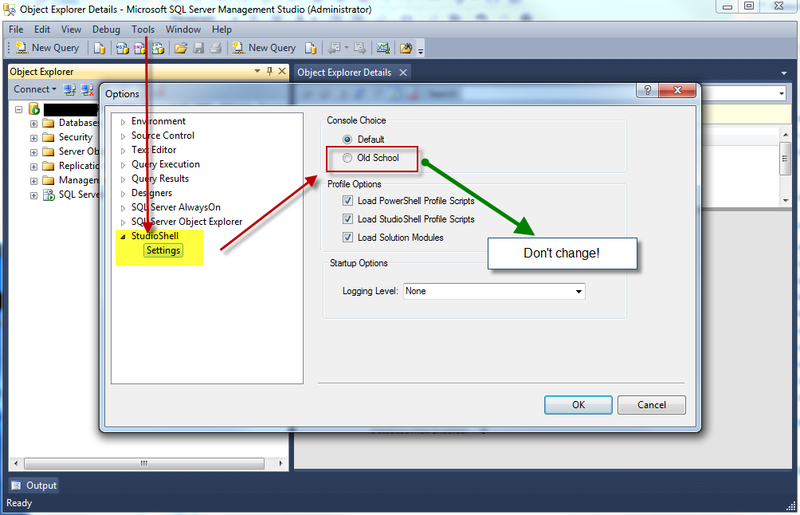 if you venture to go, under ‘Tools | Options“, to change the “Console Choice” to be “Old School“, you will crash your SSMS application when you exit the StudioShell console. So, DON’T make any changes to your Console Choice options, or you’ll end up loose all your work. I’m a believer of Tools that can help you be productive, and this one caught my attention. Please, try it! Good Job JimChristopher (StudioShell Developer)/@beefarino ! !